THE TARDIS control room was serene, bathed in a warm, pulsating glow and silent save for the gentle hum of its mysterious, timeless heartbeat. The mood was shattered in an instant as the doors burst open and the Doctor and Riddell practically fell through them before turning and slamming them shut again. Breathlessly, they exchanged a nervous glance then laughed in relief. “Y’know, you’d think the stewards would be more grateful that we’d helped them out,” Riddell complained. Synopsis: Gustaf Heinrich Urnst is a man whose name has fallen into legend. Once upon a time, the fabled writer, explorer, and occultist’s foolhardy forays into the great unknown left him stranded on twentieth century Earth. Now, the Doctor desperately needs his help in resolving a conundrum of cosmic scale. What is the origin of the mysterious standing stones discovered on a number of disparate planets? What secrets do their indecipherable hieroglyphics conceal? And what role do these alien objects play in bringing about mass extinction? 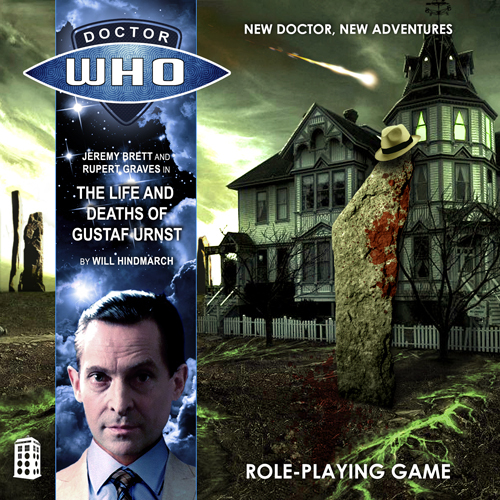 Arriving at Urnst’s New England estate, the Doctor and Riddell discover that the man is missing once more—along with great swaths of his house! In the cellar is a single stone stele, an alien artefact that pulses with a strange and dreadful power. 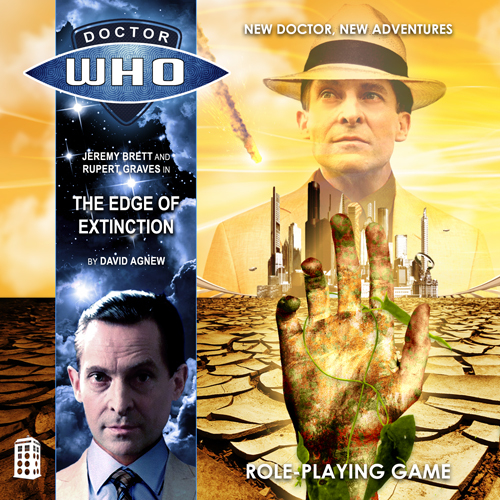 In a flash the Doctor and his companion find themselves atop the Andes mountain range, fighting for their lives as they navigate a lethal labyrinth of blood-thirsty living rock. 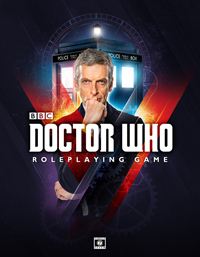 At its centre, John Riddell finds himself face to face with an old rival, and the Doctor discovers the horrible truth behind a mystery that has haunted him throughout his travels. There is an eldritch evil that has reached across the galaxy to deliver death to a hundred worlds. Here, on the planet Earth, it has touched the mind of Gustaf Urnst—and he has been hideously transformed. Synopsis: Few things can survive in the Great Desert of Oomahn, but the resilient Rwaddi have made a home for themselves here, terraforming the arid land and harnessing an unpredictable atmosphere. Their scientific initiative may prove to be their undoing as an investigation into the potential causes of this pitiless planet’s last great extinction exposes a deadly contagion of extraterrestrial origin. Within the hulk of a mysterious object that fell into the desert centuries ago are the seeds of the all-consuming Krynoid. Now this verdant menace has been unleashed upon an unsuspecting population. Unchecked, it will consume the colonists and every last drop of water on their vulnerable world in its struggle to survive, bringing about a new extinction! Fortunately, another craft has crashed among the dunes, a brilliant blue box, and it carries three strangers who bring with them an arcane knowledge of such terrors. At the gates of the great city of Mastus, beneath a raging storm, a desperate battle will be fought between these chaotic forces from beyond the stars. It never rains in the desert, but it pours!